Provides relief from chronic gastric ulcerations and inflammatory bowel syndrome.Relieves gastrointestinal discomfort.The ulcer-healing and gastroprotective properties ofÂ the natural ingredients combat ulcers and gastritis. 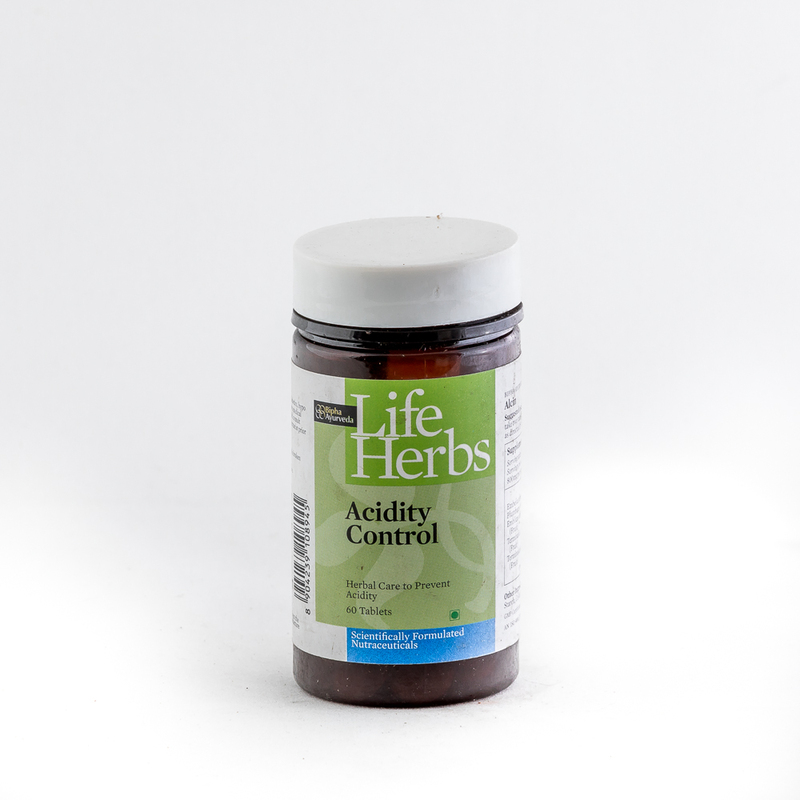 It neutralizes gastric acid, relieves gaseous distension and bilious symptoms. For the symptomatic control of :Â DyspepsiaÂ ,IndigestionÂ ,GaseousnessÂ , Flatulence, abdominal distension and belching.An effective antacid and that relieves hyperacidity. Embelia ribes,Plumbago rosea,Emblica officinalis,Terminalia chebula,Terminalia bellerica ,Dicalcium phosphate, Starch, Cellulose, Magnesium stearate.